This entry in the successful series focuses on classic paper quilling: a form of filigree that's perfect for scrap booking, as well as card and ornament making. 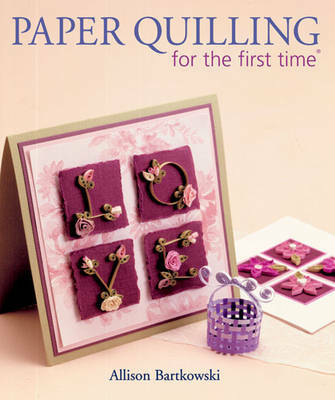 Using a friendly question and answer format and dozens of close-up step-by-step photographs, it explains how to roll coils, make basic shapes and create off-centred circles, scrolls, roses, loops and more. For every technique, there's a project!